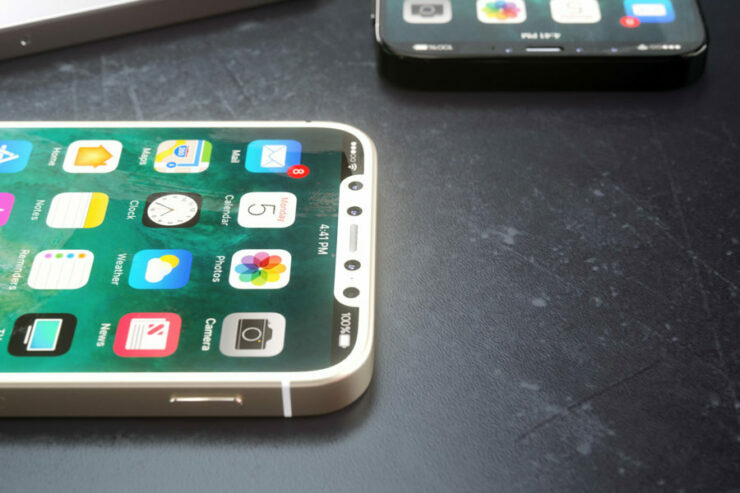 Over the past couple of months, we’re seeing a lot of rumors for an alleged iPhone SE 2. While these came from varied sources during the first few months of 2018, now the sources have narrowed down. Out of all of them, case manufacturer Olixar is very enthusiastic for the iPhone SE 2. So much, that it’s taken the courtesy to collaborate directly with the press. Take a look below for more details. Before we get into the details, let’s first take a look at why leaks for an iPhone SE 2 are popular these days. Apple’s decision to launch the iPhone X with a True Depth camera setup capable of securely capturing 3D facial details moved the industry forward. Pretty soon, users were eager to try out the device but many felt limited by its $1000 price tag. So naturally, rumors for a smaller, budget-friendly iPhone with 3D facial recognition catches a lot of users’ attention. Therefore, any ‘leak’ or claim-chowder for such a device will naturally get clicks and revenue; despite being from the same source over and over again. With that out of the way, let’s take a look at another one of these, obtained by Forbes. 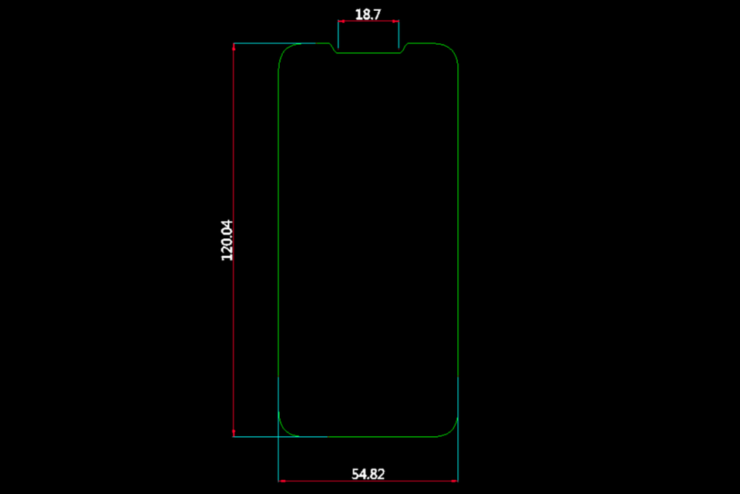 These alleged schematics are from case manufacturer Olixar and according to the publication, appear to display ‘Expose Apple’s Radical Design’. Sounds quite intriguing by the look of it. So take a look below. The first thing that you’ll notice above is the direct comparison with the current iPhone SE’s design and form factor. These images suggest that while Apple will keep the iPhone SE 2‘s size similar to its predecessor, the company will nevertheless introduce an edge-to-edge display with a notch; similar to what’s found on the iPhone X. 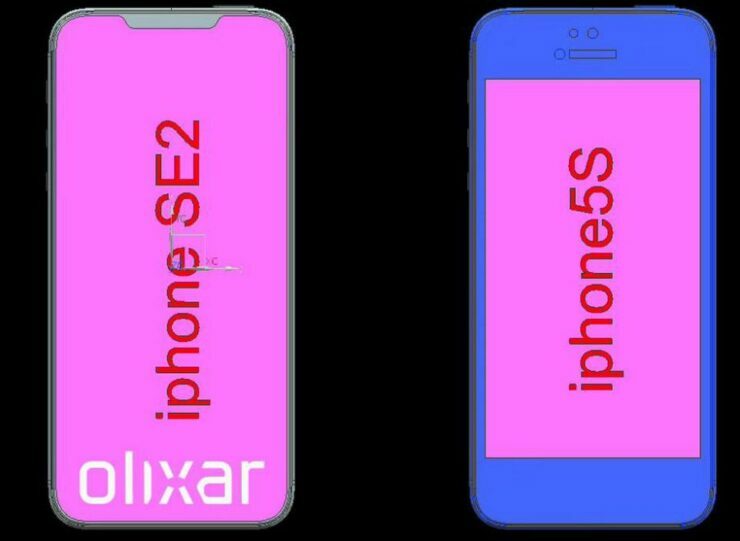 The second image shows dimensions for the alleged iPhone SE 2‘s front facade. The notch is shown with a width of 18.7mm, which is slightly smaller than the iPhone X’s 27.94mm. Why do we mention this? Because while these drawings might get some business management publications excited, the technical complexities of further reducing True Depth camera setup’s size won’t be lost on the more intelligent of our readers. Finally, it’s also relevant to note that Olixar seems very eager to share details for the iPhone SE 2. While details for upcoming devices from case manufacturers generally leak, it’s quite rare for them to share them directly with the press. After all, who’d want to be in business with a partner choosing to share details of yet-to-be-launched products with the media? With that in mind, let us know what you think in the comments section below and stay tuned. We’ll keep you updated on the latest. Updated: The article mistakenly labeled ‘mm’ as ‘cm’. Thank you for the feedback.